Get Ready to Increase Donor Loyalty and Retention. Nonprofit organizations build their member base communities by converting single donors into loyal members and attracting new donors to their organization. It is imperative nonprofits also focus on cutting costs and sending more effective, targeted campaigns that convey the essence of their cause. Finally, its got to be easy to collect one-time and recurring donations and use that information for future marketing. Lead Liaison provides a platform for modern marketers working at nonprofit organizations to grow their communities, faster, through better targeting, improved communication and greater campaign effectiveness. 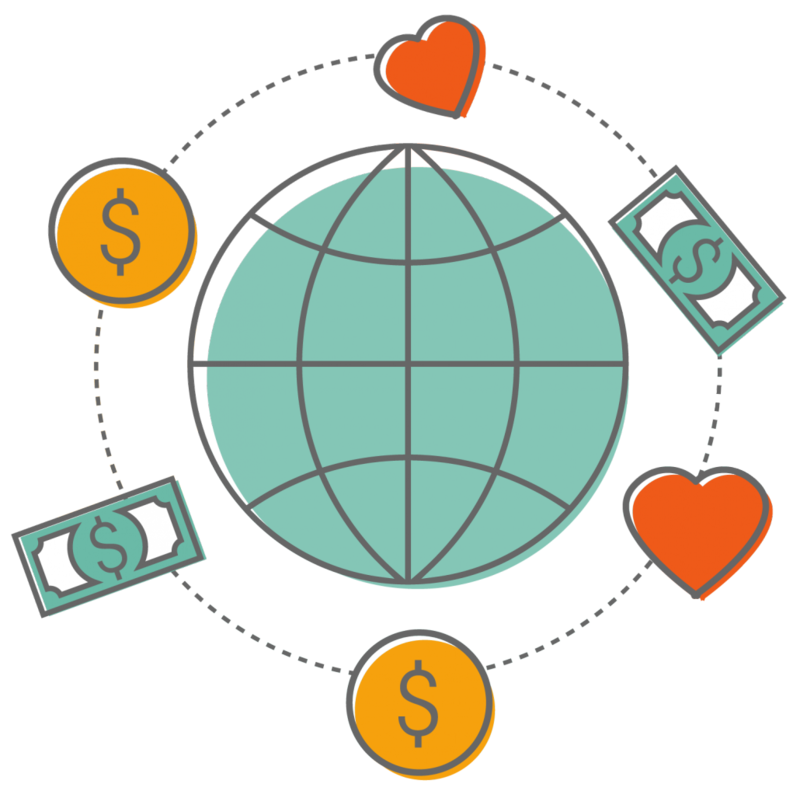 Try out marketing automation for nonprofits and see how you can become the next modern marketer for your nonprofit. Want marketing automation for nonprofits? Get special pricing packages tailored for you. Lead Liaison understands that nonprofits have a different set of tools, different resources, and different needs. SiteEngage™ allows United Way to connect with the customer or donor, identify what they are looking for, and provide content that better meets their needs and expectations. Learn everything you need to know about how to apply our solutions to your nonprofit! Check out our Nonprofit Kit! The average response rate for emails is 0.12%, whereas the average response rate for direct mail is 4.4% – Source: CMO Council. Send print and promotional items such as candies, mugs, t-shirts, etc. in an automated way. Multi-touch, multi-channel marketing builds stronger relationships with prospective, new and existing donors. Trigger online and offline marketing based off of certain dates or events to send timely and relevant communication. Develop genuine one-to-one relationships with donors and members using tools that help scale personalized communication across a broad audience. Easily participate in social media and outsource marketing content to stand out in the crowd and become a thought leader in your nonprofit sector. Create a steady flow of personalized communication. Cultivate long-term loyalty and generosity by building stronger relationships through informative touch points. Track responses to marketing campaigns and align audience interests with information they care about. Create targeted campaigns based on social, behavioral and demographic information. Build a digital DNA of your existing and prospective member base by rolling up individuals online behavior (document downloads, website visits, page views, email engagement, form submissions, social media interaction, and more) with social and demographic insight into a single profile. Better understand what your existing and prospective members are looking for. Slice and dice your donor database for more effective and targeted communication. Use pre-built templates rapid campaign deployment. Choose from over 60 templates ready to swap out with your custom graphics. Launch new campaigns in days vs. weeks. Schedule campaigns for future releases instead of trying to do things in real-time. Track effectiveness of campaign spend across all your nonprofit’s marketing efforts and tie it back to financial support to determine which campaigns produce the highest return.